You can now own a little piece of your favorite American TV show, Mad Men, and all for a good cause. 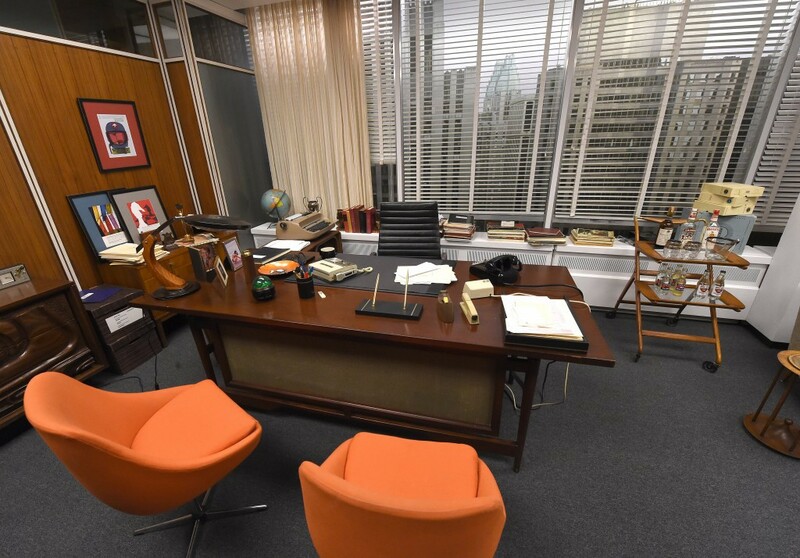 To raise funds for cancer charity City of Hope, the cult AMC TV series will organize an auction of more than 1,500 of Mad Men’s props through eBay, accompanied by a Certificate of Authenticity from Lionsgate, the studio that made the series. Property master Ellen Freund personally curated the prized items, some of which returned from “Matthew Weiner’s Mad Men” exhibition at The Museum of the Moving Image in New York last year. No prizes for guessing whose items will fetch the most money, though. Protagonist Don Draper’s wallet, orange visitor chairs, engagement ring to Betty and even his iconic 1964 Chrysler Imperial convertible will go under the hammer. Last year, his 1965 Cadillac Coupe DeVille sold for $48,980 on ScreenBid. Collectors can also look forward to Peggy Olson’s blue SC&P typewriter and Joan Harris’ office ice bucket and tumbler set and Stan Rizzo’s notepad, complete with sketches. Check out Screenbid.com for a preview of some items on auction and mark your calendars for June 1 because this is one auction all ‘Mad Men’ fans shouldn’t miss.